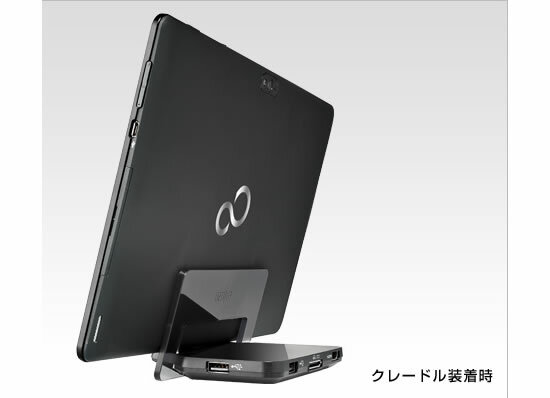 Fujitsu today announced the release of the Stylistic M532/EA4 Android 4.0 tablet for business, which goes on sale in Japan today. Fujitsu M532/EA4 tablet boasts a quad-core processor, 10.1-inch screen, 13.4 hours of battery life. The new tablet runs on Android 4.0, the latest version of the operating system, and is built around the Nvidia Tegra 3 quad-core processor with GeForce graphics for superior processing power and graphics performance. The combination of an easy-to-use interface and powerful hardware results in smooth multi-touch operability with ten-finger sensitivity, high-quality video playback, and overall application responsiveness. Robust specifications make Fujitsu M532/EA4 Android 4.0 tablet ideal for a wide range of business situations. A big 10.1-inch display (1,280 × 800 resolution) with a wide viewing angle is perfect for one-on-one presentations, and IEEE802.11 a/b/g/n Wi-Fi offers fast wireless networking. A two-megapixel front-side camera and eight-megapixel backside camera make it ideal for videoconferencing or logging maintenance inspections and job-site walkthroughs. The tablet’s chassis meets the U.S. military’s specifications for durability and dust-proofing, but weighs only about 560 g. It has passed the stringent environmental testing that the U.S. military requires for equipment procurement, running at elevations as high as 15,000 feet (4,872 m), at temperatures from -22ºF to 122ºF (from -30ºC to 50ºC), under high humidity, and in dusty environments. 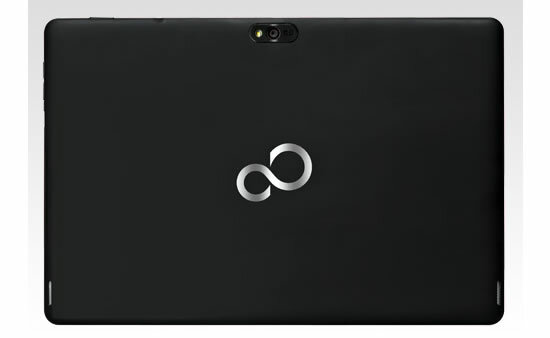 Also, its long 13.4-hour battery runtime complements its mobility. This tablet is designed to be used for a wide range of business purposes in a mobile setting, from a lightweight sales terminal to a high-quality video-presentation tool.